A sale of BK Racing is more complicated than the typical sale of a business. In this case, Matthew Smith is a trustee. This team was formerly operated by Ron Devine. However, Devine accumulated multiple millions of debt from unpaid loans. Union Bank & Trust who originally requested the trustee claimed in March that they are owed $11.47 million. In November 2017, they stated it was only $8 million. Smith was assigned the trustee duty by the courts. It’s his job to find a way of locating the finances to pay off debt from the former team owner. There’s multiple ways of getting there. U.S. District Court Judge J. Craig Whitley placed Smith in charge of the team in late March. The very next week, the team finished 20th at Texas Motor Speedway. The team has run 8 races since Smith took over operations. The second best finish since March was a 24th place run that came at Talladega Motor Speedway. BK Racing is now for sale. Smith stated that he’s not looking to piece out the organization. He’s looking to sell the team as a while. Which would include all pieces of the organization, cars and NASCAR charter included. The charter alone is likely the most valuable asset of the team. There are 36 NASCAR Charters out there. Holding one guarantees a starting spot in every race on the schedule. Previously, the value of a NASCAR charter was estimated at $1-2 million. However, value of the charters have likely decreased in 2018. NASCAR starts 40 cars per race. Most races don’t have more than 40 cars attempt to qualify. Essentially, teams no longer require a charter for a guaranteed starting spot, they only need the entry fee. Per NASCAR rules, a team is allowed to lease out a charter for a single season. Beyond that, the charter must be used. If not, the charter defaults back into the hands of NASCAR. A sale must be approved by the courts. There was a hearing on Tuesday to discuss the possibility of the sale as negotiations are ongoing. Former team operator, Ron Devine threatened that if a trustee was placed on the team then the team would likely loose their sponsorship from EarthWater. He also stated employees would quit. 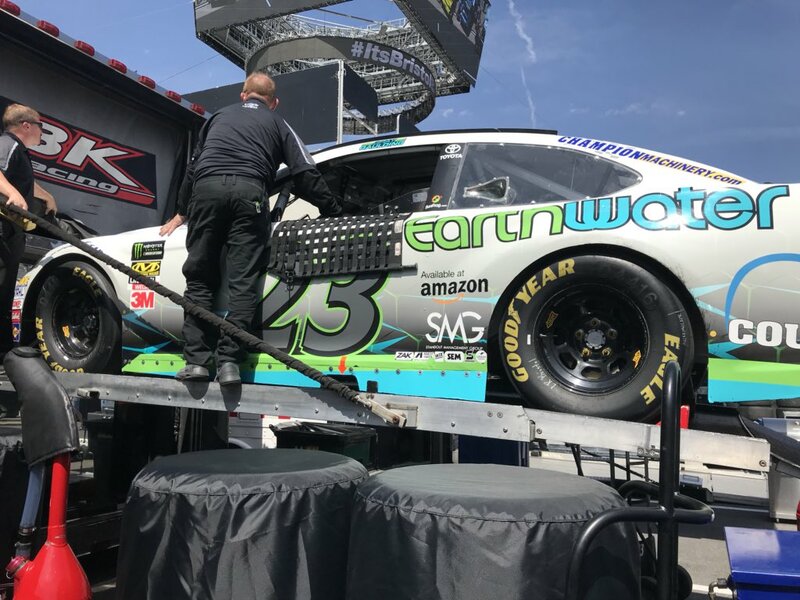 The team has been on the track without a sponsor since Kansas in early May. However, the team has found an alternative sponsor which has appeared in a few races since May. Peppe’s Mexican Restaurant has been seen on the hood and quarter panels in a few event. Most races in the month of May and June have been run without sponsorship funding. The best finish for the team came in their debut season back in 2012. Travis Kvapil drove it to an 8th place finish at Talladega Motor Speedway.